The Caribbean Beauty - International top selling Artist, Rihanna, took to twitter yesterday to show off her Man (Picture on Left) or rather his obsession with Bart Simpson. 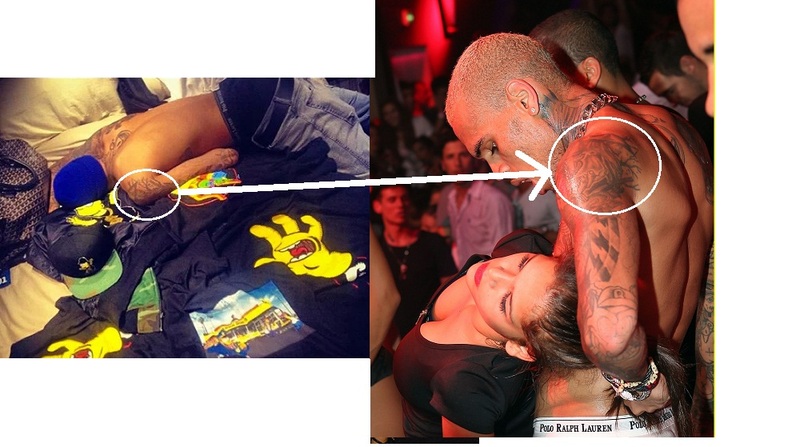 It was a little difficult to tell who it was at first but we know its you, Chris Brown. We can spot your tattoo a mile away, actually we matched it with a picture of him taken earlier (Picture on right). hehehehe!